The heavy duty radiator application generally is in diameters from 50mm (2.0″) to 90 mm (3.5″). High torque, spring assisted and high corrosion resistance ensure a solid connection for years to come. 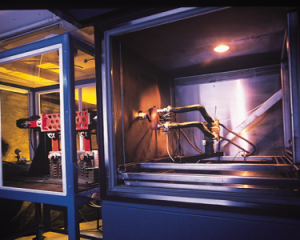 Our engineers have sophisticated pressure, vibration and thermal test equipment (PVT) that we can use to simulate real world coolant application conditions. We can test your entire application to industry norms (eg. SAE 1610) or to your unique specification. By working with us, you can validate the entire joint to give you the confidence you need to launch.